So much advancement in population health can happen over the course of 50 years. It’s hard to remember the days before cigarette warning labels and life-saving regulations like the Clean Water Act, but these are just two major developments that came to fruition 50 years ago, impacting every aspect of our daily lives. If you’re of a certain age and remember when the tensions of the Vietnam War were at their peak in 1969, you may also recall that this was the year the first temporary heart transplant was conducted by Dr. Denton Cooley and his team. Today, over 33,000 heart transplants are conducted each year. 1969 was also the year when Neil Armstrong first laid a human footprint on the moon. Is it possible to trace back every action that led to this level of progress? Just pause for a moment to think about the many people and the countless, often mundane tasks that made these advancements possible. It’s astounding just how many public health advances have happened without the help of email, smartphones and drive-thru lattes. Amazingly, ambition finds a way and all those meetings, creative ideas, and day-to-day tasks add up to scalable social change. For our team at Heluna Health, looking back on the past 50 years is especially meaningful as we mark 1969 as the year we officially became a nonprofit in our first incarnation: a support arm for Los Angeles County’s wide range of public health initiatives. Progress was happening all around us, with breakthroughs occurring weekly in the health care and population health fields in the late 1960s and early 1970s, all because of the careful and persistent dedication of researchers, clinicians, epidemiologists, and public health practitioners around the globe. Collective progress is the result of a series of actions made by individuals over time. Every person, every action counts. Each member of our collective network of over 5,000 population health professionals plays an important role in that early story and its link to the accomplishments we are achieving today in the communities we serve. In 2019, the collective work we do with our partners helps stop the spread of communicable diseases like HIV, minimize the impact of chronic diseases, overcome food insecurity for vulnerable populations, and so much more. Collective progress is the result of a series of actions made by individuals over time. Every person, every action counts. Heluna Health’s founder, Charles Norris, launched Public Health Foundation of Los Angeles County in 1969 with the determined mantra, “there is always a better way” as part of his vision statement. In creating the agency, Mr. Norris saw opportunities to find a better way for public health departments to extend their impact and reach into the communities that needed them most. 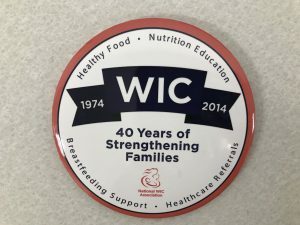 When one of our first programs, the local USDA-funded WIC (Special Supplemental Nutrition Program for Women, Infants, and Children) nutrition program (now known as PHFE WIC), was under county government oversight and was unable to accept private grants to deliver food vouchers to families in need, his newly created nonprofit organization began to collect and manage these funds to help reach communities more efficiently. From tobacco education programs, to immunization programs, family planning, school-violence prevention initiatives, and more, he committed to serving as a bridge between the community and government, providing new ideas and fiscal support, no matter what obstacles stood in the way of the overall goal of improving the health of local communities. When Mr. Norris saw flaws in the system that created barriers to progress, he brought people together to build better systems. And when there was more work to do beyond Los Angeles County, the time came to remove “Los Angeles” from our name and we became Public Health Foundation, cementing our role in the national public health landscape. Partnership and collaboration were at the root of everything Public Health Foundation of Los Angeles County did, and still does to this day. 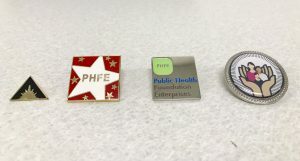 The evolution of our brand–in pins! Sally Hoeng, who is proud to be Heluna Health’s “employee number eight” and a current member of our benefits team, remembers the day that the organization invested in its first computer in 1989 so that she could create a more efficient way to manage our partners’ funds (she was working in the finance group at the time). “I remember balancing the books by hand,” says Sally. 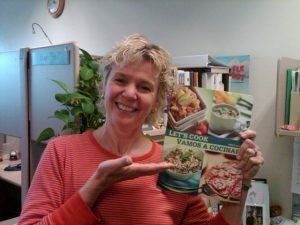 “Each program had its own ledger in a big book where I reconciled every expense. I asked for a computer but I didn’t know how to set it up, so we had to hire Jonathan,” our first IT staff member, Heluna Health’s ninth employee, and our Senior IT analyst today. Now, our team of 25 accounting professionals tracks hundreds of thousands of expenses per month for over 300 initiatives across the country. Laura Spriggs-Nevares, Heluna Health’s senior program employee relations manager and 25-year veteran, reflects on her early days and remembers the broad range of work we supported, from contracts for Planned Parenthood, grants for the Pediatric AIDS Network, and an initiative to employ reformed gang members on National Forest Service fire crews. Laura vividly remembers the day she was in the office when Dr. Susan Buchbinder of Bridge HIV and her team from San Francisco came to our Los Angeles office to partner with our team to submit a grant proposal in 1992. “We worked through the night to meet the proposal deadline. My job was just to help them get their paperwork together to submit the proposal, but I knew what it was for and why it mattered. The research that they were doing was incredible.” That paperwork and the grant that Dr. Buchbinder and her team ultimately received translated into ground-breaking research on risk factors for HIV transmission among gay and bisexual men, which continues to help researchers identify effective antiretroviral treatment and preventive therapies used today. As new challenges and opportunities come our way, the mantra that began as “there is always a better way” continues to guide our 1,269 employees. At times, some of us may not see the direct impacts of the work we do each day, but we’re empowering our partners to make progress on the front lines, never losing sight of the lives that we’re saving or improving. The role we play with our partners provides a strong foundation for breakthroughs that lead to longer, healthier lives. Mobilizing our network to expand equitable access to population health services in more communities across the U.S.
Health is a human right that we’ll always be committed to. Over the next 50 years, we’ll continue to build innovative solutions as we work toward our vision of becoming the nation’s leader in providing program and support services to optimize population health. Setting our sites on “a better way” to guide us, we can’t wait to see the progress we’ll achieve together in the decades ahead.